There’s no denying how useful solar energy can be in minimising, if not mitigating, the perpetually rising costs in electricity prices. It also helps the Earth through the significant reduction of carbon emissions. While the costs of the systems involved in the production of solar energy are relatively affordable these days and the potential to reap its benefits is high especially in locations with dry climates like Australia, there are still a few things that you must consider first. 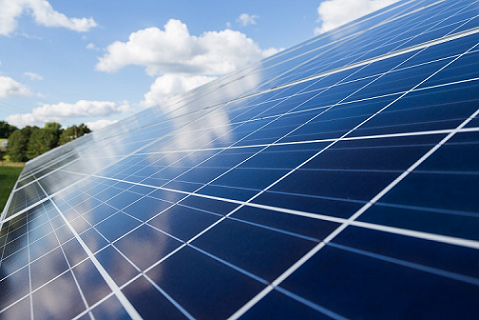 Here are just a few things that you should know before pursuing an investment in solar energy. It isn’t uncommon to be overwhelmed with a multitude of different options, especially in the growing industry of solar energy. They do serve as an effective means of generating the much-needed electricity after all without having to deal with the bills associated with their use. Before deciding on which company to choose, it’s always good practice to compare solar companies. Tedious as this might seem to be, it’s quite easy and straightforward to do this, thanks in no small part to websites like SolarCompare.org. It’s a small investment of your time that should pay dividends, especially since choosing the right company will save you a lot of money. Solar panels fitted on the roof usually generate solar energy. To this end, the angle of the roof as mentioned earlier can determine whetherhaving solar power is a feasible option, and it’s not a bad idea to have a specialist check it out first before having the appropriate panels installed. One top tip is to make sure that there are no objects such as buildings or trees that can potentially be an obstruction to the sun as this can affect how much energy you can generate. Most solar panels require little if no maintenance at all apart from hosing down any dust or debris that might be settling on them. It is however well worth noting that the inverter is the item in the system which would most possibly have to be replaced every ten or so years since it tends to work more than all the other parts to convert the direct current to alternate current. It’s also a general rule of thumb to have the entire system examined every few years by a specialist to check if the solar panels are working as effectively and efficiently in serving the purpose as they were intended. Solar energy is an investment. By reading through the contract carefully before signing it, you’ll learn more about the financial details entailed in ownership as well as your expectations of the overall performance of the system that you intend to buy. They say that knowledge is power and the more that you know, the better the chances you will have of attaining the desired results. With all the benefits that solar energy yields and the fact that it’s cheaper than fossil fuels, it’s not surprising that more and more homeowners are continuing to adopt the trend. Not only can it keep the costs of electricity bills down and be better for the environment, but the value of the property can increase with its addition. By leaving no stone unturned and ensuring that you have all the information available to you, you’ll be minimising the chances of running into potential issues and making the most out of the investment.